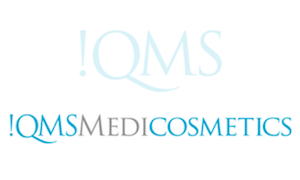 QMS is world-renowned for their anti-ageing and skin regeneration ingredients. Based on research-led, collagen enhancing technology they create a bespoke regenerative system of skincare. Up for grabs is the QMS Exfoliant Fluid (valued at R1000), a gentle and highly effective exfoliation, featuring a unique peeling system of fruit acids and enzymes, which combine to dissolve dead skin cells and accelerate cellular regeneration. The second product in the hamper – especially for a more sensitive skin – is the QMS Med Dermabrasive Gel (also valued at R1000) is a clarifying formulation of a fruit acid and enzyme peeling system, designed to dissolve dead skin cells, accelerate cellular regeneration, clear blocked pores and calm the skin. 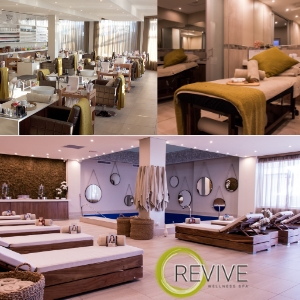 Enter below to stand a chance at treating your skin to pure luxury with QMS Medicosmetics. Fill in the form below and tap on Enter Now! The winner will be contacted by A2 Magazine via email and/or telephone. Good Luck! Please read terms and conditions below. Just so that we can contact the winner. We do not use or share your number for any other purpose. (Any entries received after this date will not qualify). Use the Social Media buttons directly below this post to share the competition with family and friends! A2 Aesthetic & Anti-Ageing Magazine competitions are exclusive to A2 Magazine weekly email newsletter subscribers. If you’re not already signed up to the newsletter, then you will be automatically signed up by entering this competition. The A2 Magazine weekly email newsletter is FREE! Your privacy is VERY important to us and we will never send you too many emails and we will never share your details with any third parties. Not even if they offer us free chocolate. You can also unsubscribe at any time. Prize not transferable for cash or exchangeable. If the first winner picked is unavailable or unresponsive for 24hours after being notified then the next available winner will be chosen. Winners will be contacted by telephone and/or email. Hamper will be couriered to winner. Competition valid for South African residents only.